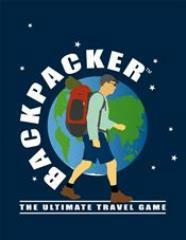 A fantastic pocket-sized game for 2 to 6 players, and just like travelling, it’s fun, exciting, fast changing and very addictive. Experience all the fun and unpredictability of traveling the world, as you try to outwit your opponents to be the player who returns home with the most photos. Visit different countries, enjoy beaches, trekking, wildlife and culture, meet other travelers and get good and bad advice, whilst trying to avoid getting sick or missing your plane. No two games are ever the same. Play at home, on your next holiday and beyond. This game is essential for anyone who loves foreign travel.